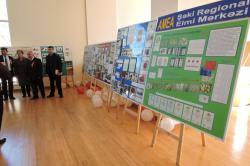 The second Azerbaijan Science Festival kicked off in Shaki, the cradle of Azerbaijani culture. Prior to the opening, participants of the ceremony viewed the photo exhibition at the hall of Sabit Rahman State Drama Theater, Azertac reported. The festival itself demonstrates achievements of Azerbaijani scientists and hears speeches from young scientists from different fields. 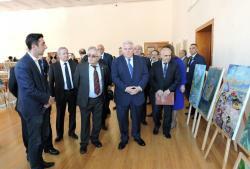 The event promotes new scientific technologies and innovative achievements. The festival features creative workshops and interactive exhibitions, excursions, competitions, reports on new scientific advances, entertaining science shows, educational films, reflecting the activities of scientific institutions and organizations of AMEA. The event, which will run in Nakhchivan, Sumgayit, Ganja and Sheki as well, will end on November 5. In Baku the second Azerbaijan Science Festival opened at Azerbaijan National Academy of Sciences on the last day of October. 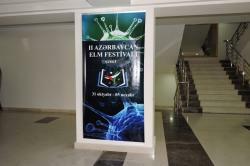 Organized by ANAS in partnership with the Ministries of Education, and Communications and High Technologies, Baku City Executive Authority, Knowledge Fund under the Azerbaijani President, Science Development Fund under the President, U.S. Embassy and Moscow State University, the festival demonstrated achievements of Azerbaijani scientists. 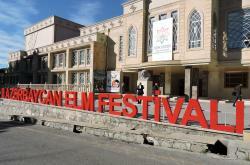 The festival featured workshops and interactive exhibitions, excursions, competitions, reports on new scientific advances, science shows, and educational films.